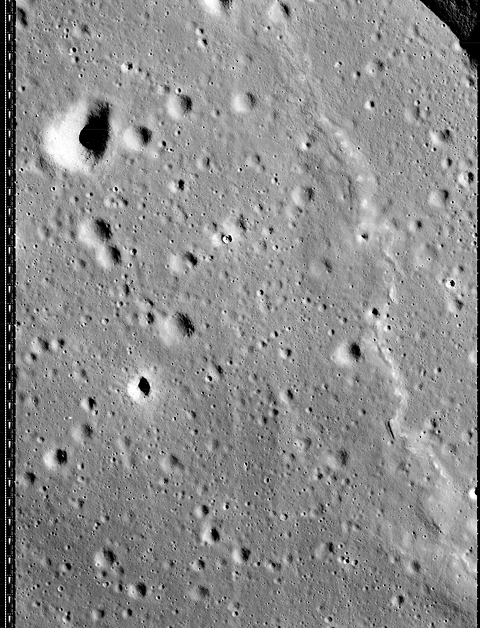 According to Wikipedia: Messier is a relatively young lunar impact crater located on the Mare Fecunditatis. 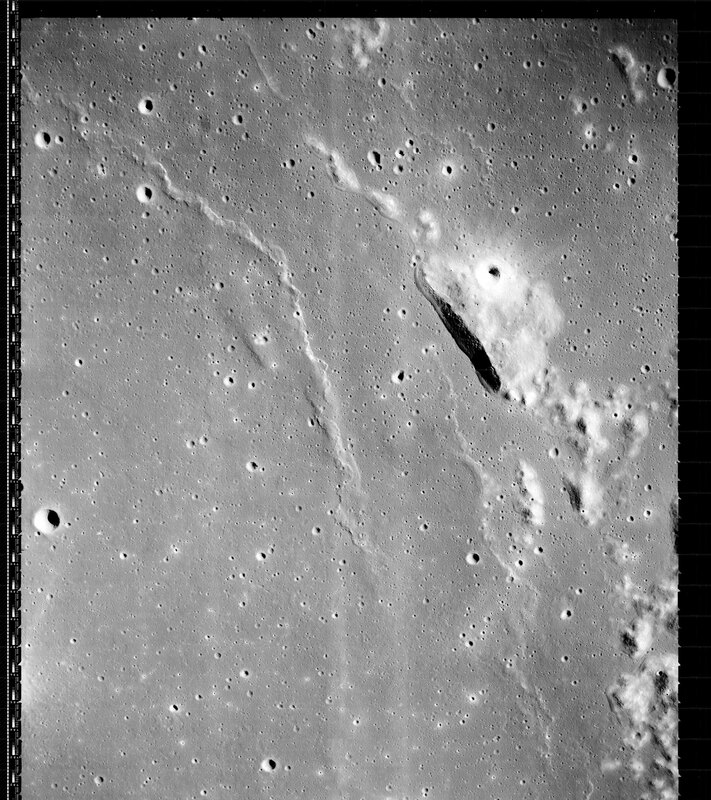 The crater has a discernible oblong shape that is not caused by foreshortening. 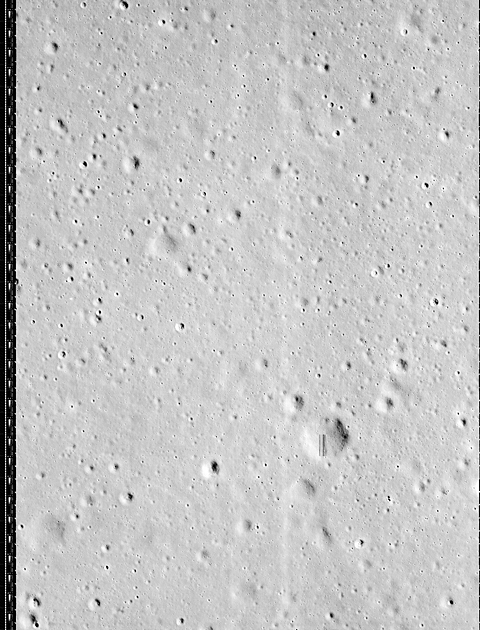 The longer dimension is oriented in an east-west direction. 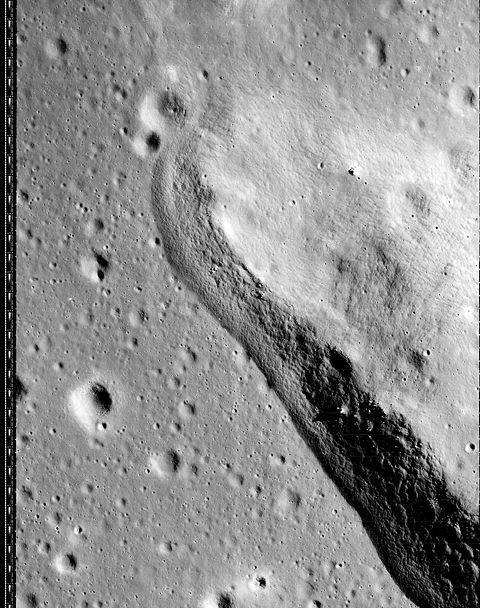 Just to the west lies Messier A, a similar-sized crater with an oblong, doublet form. 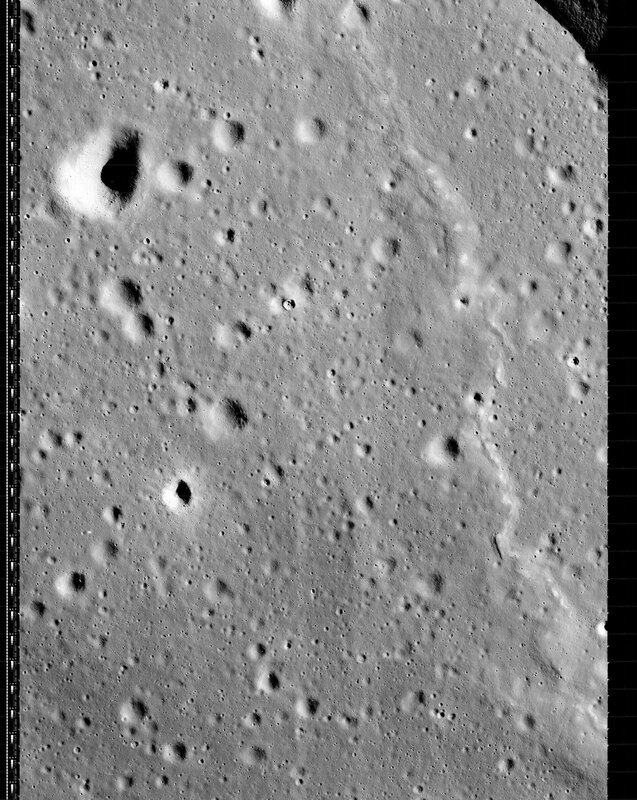 The longer dimension of this crater is oriented north-south, at right angles to Messier. 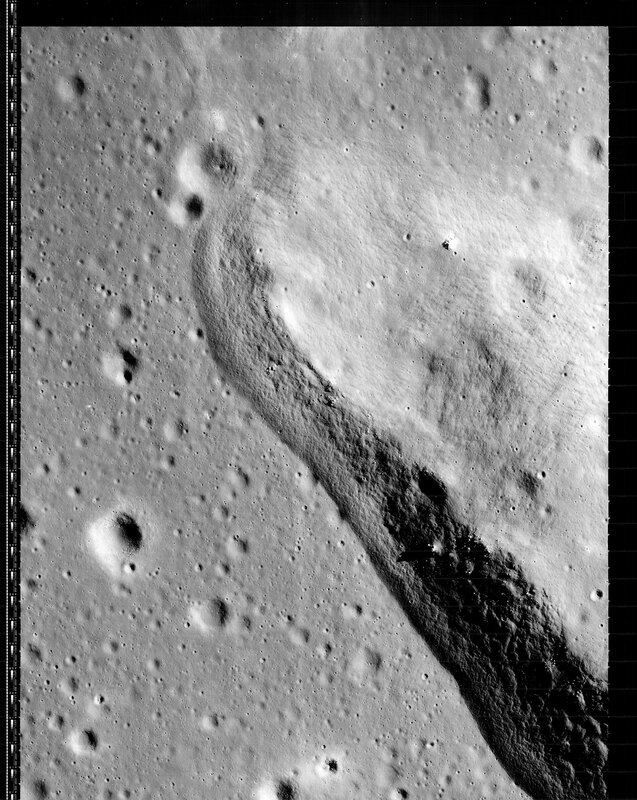 This crater also has a curved bulge extending to the west. 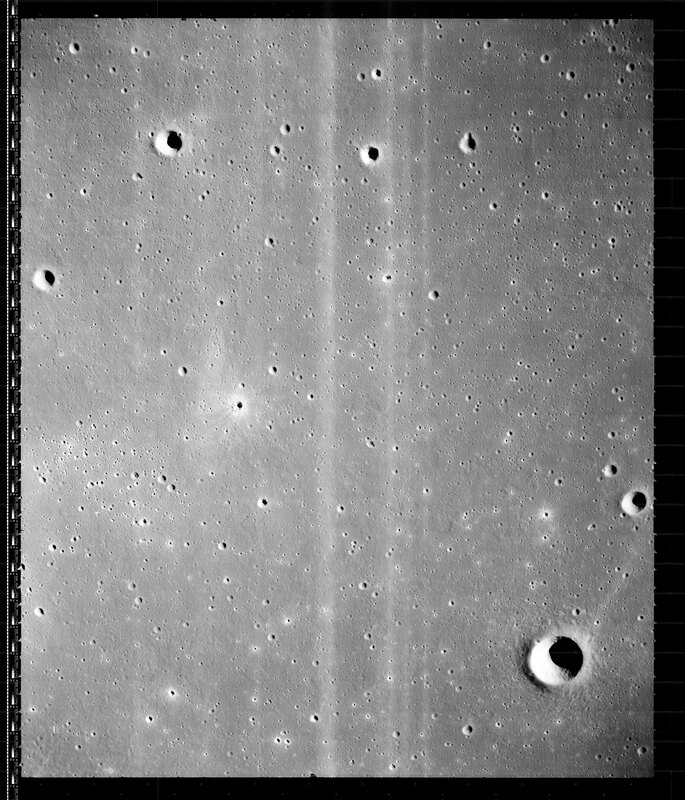 Messier A and B were photographed at high resolution by NASA’s Lunar Orbiter V spacecraft In August of 1967. 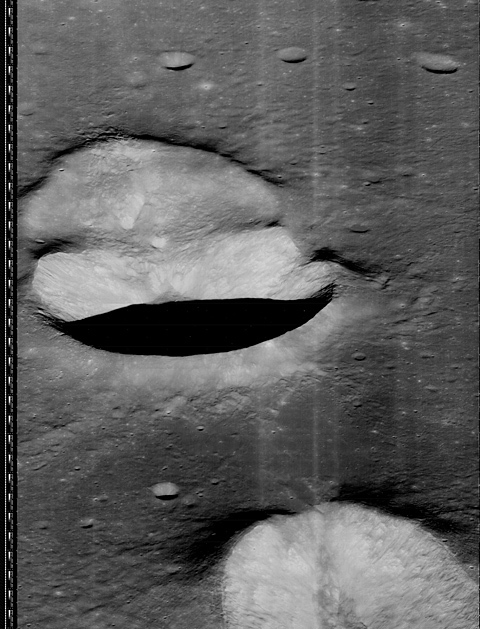 The oblique angle view is the best available view of the craters. 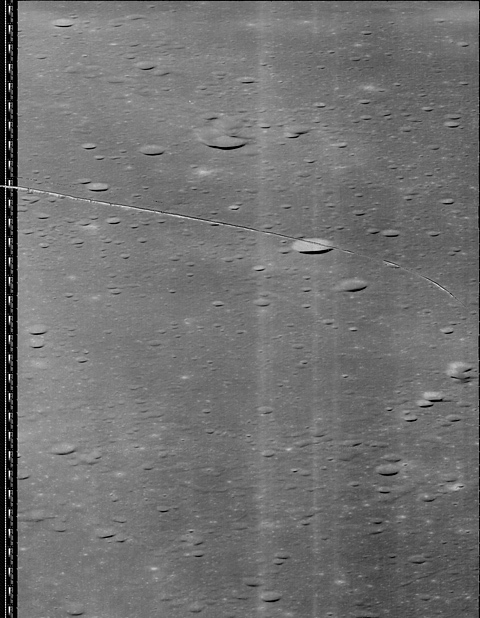 This newly retrieved high resolution image, frame 5041_H3, was taken by Lunar Orbiter 5 on 10 August 1967 at 16:11 GMT LPI reference. 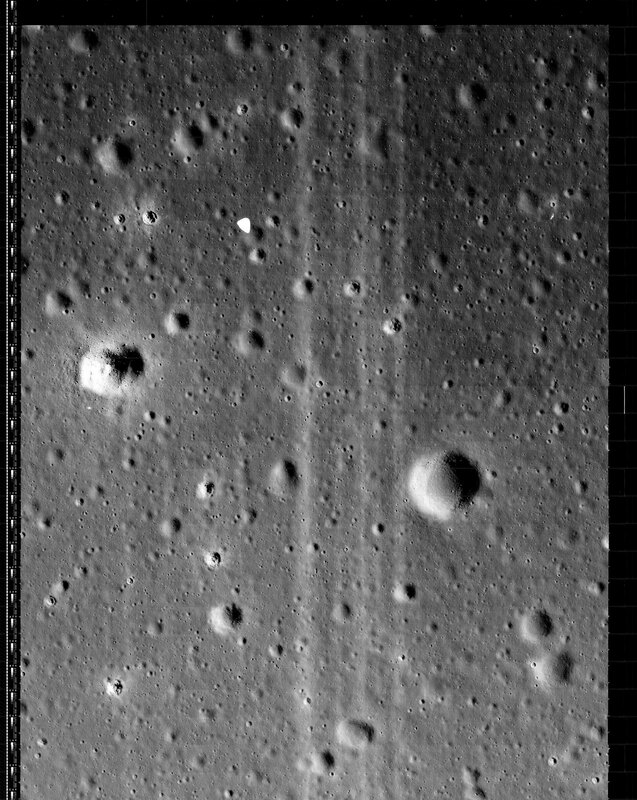 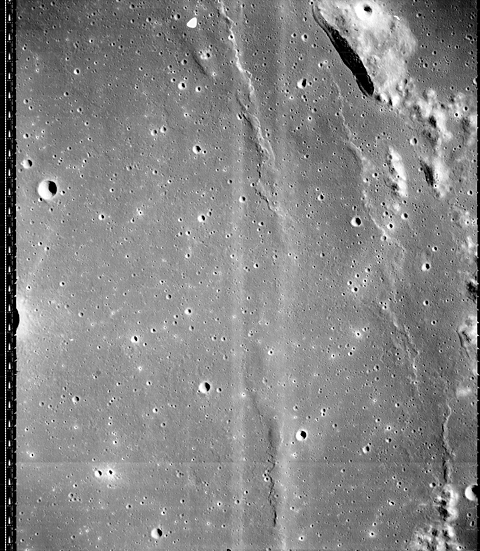 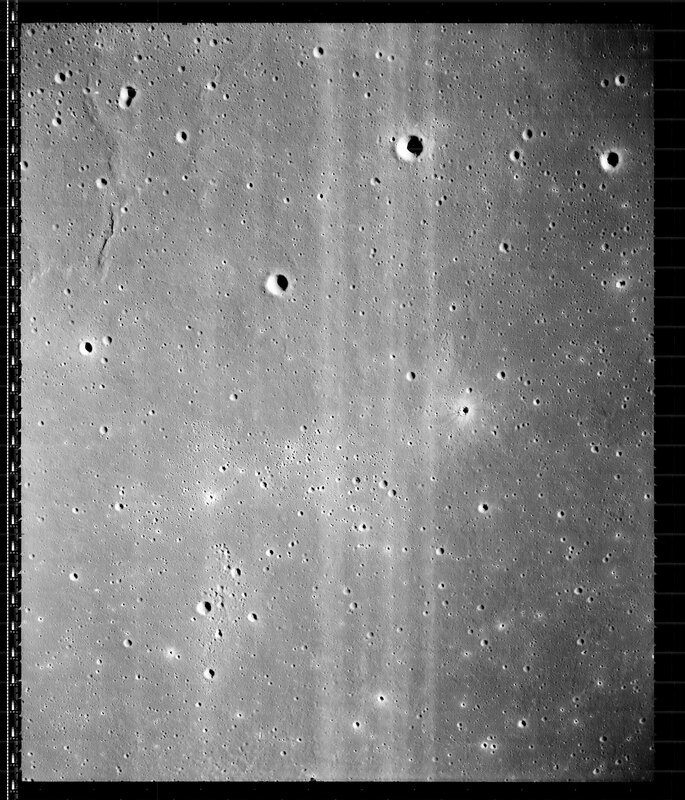 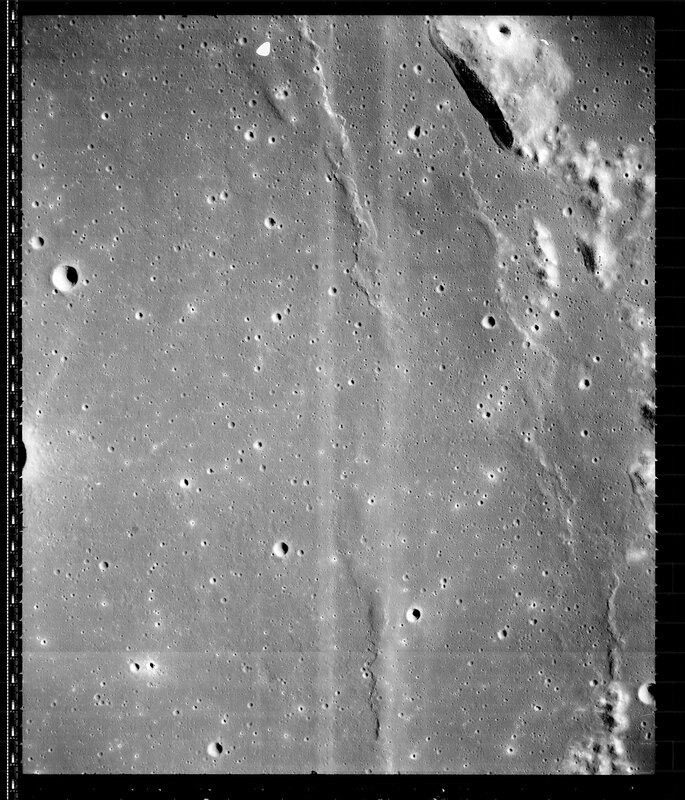 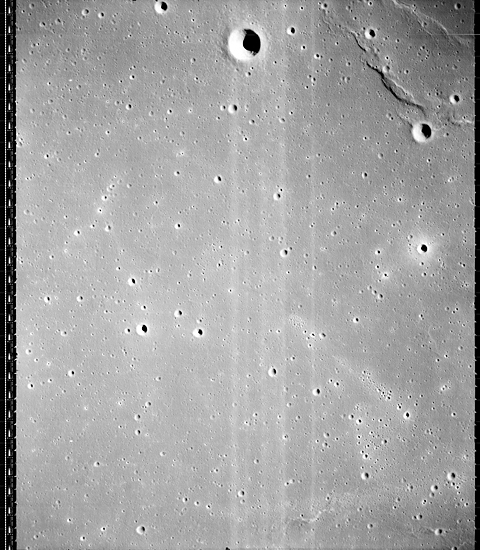 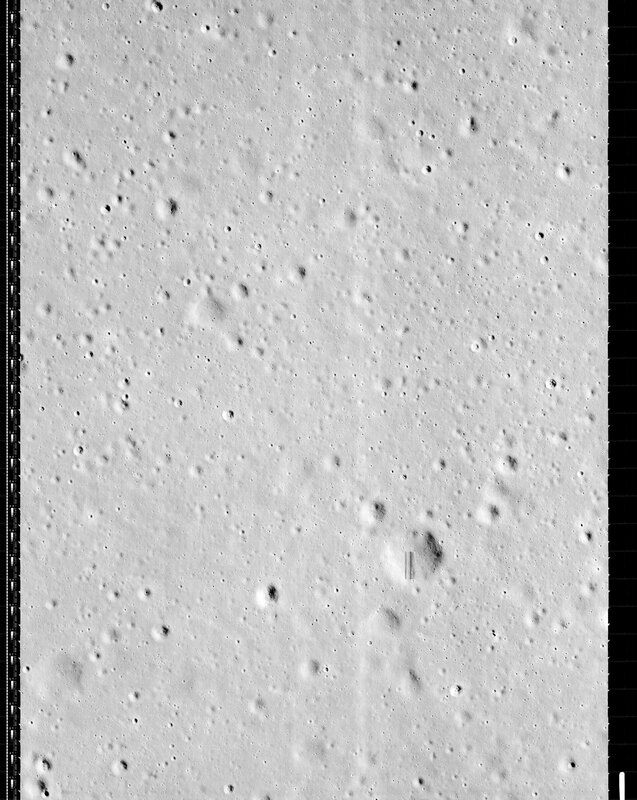 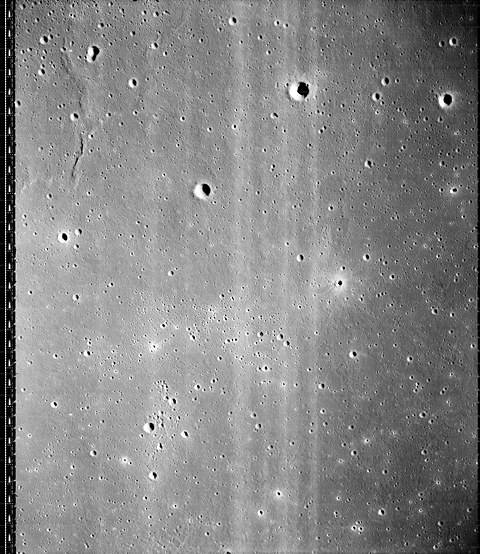 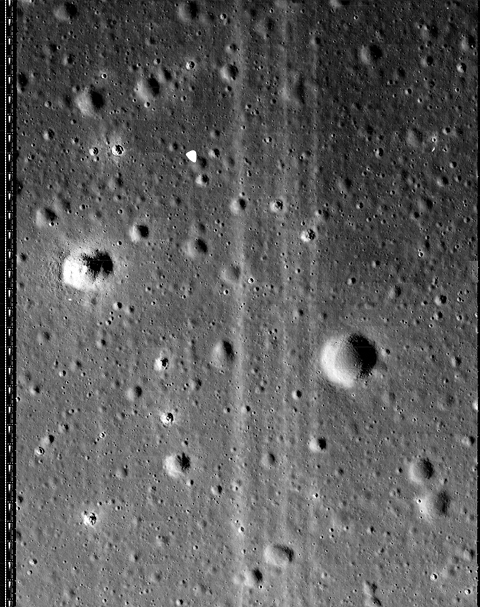 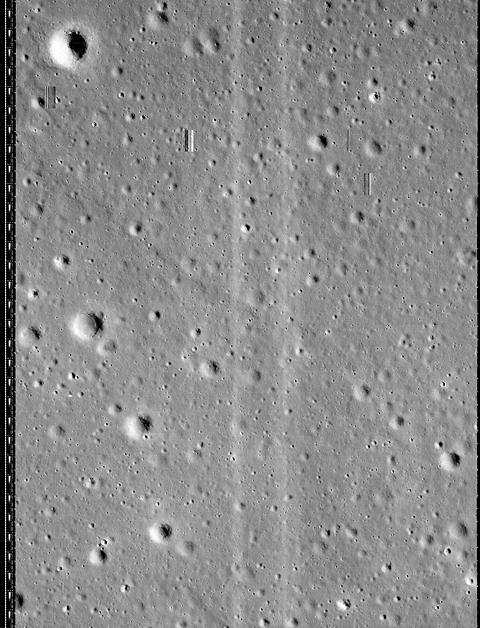 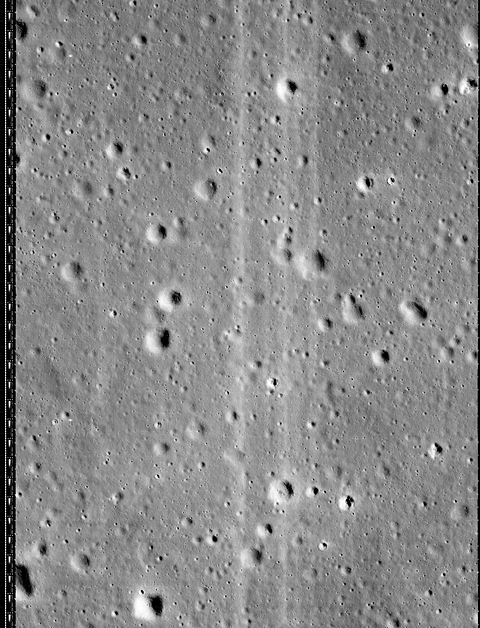 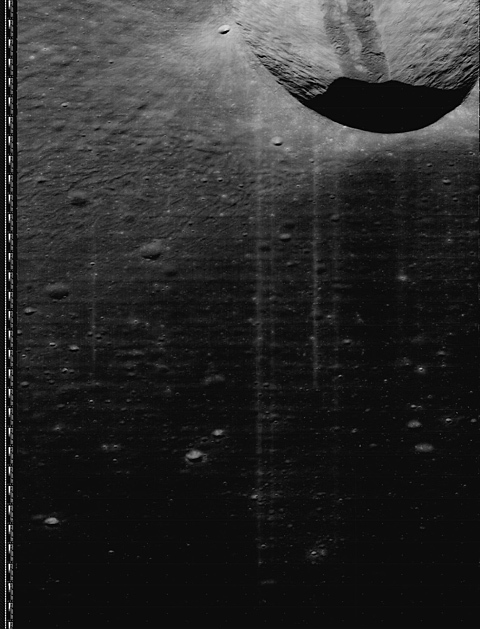 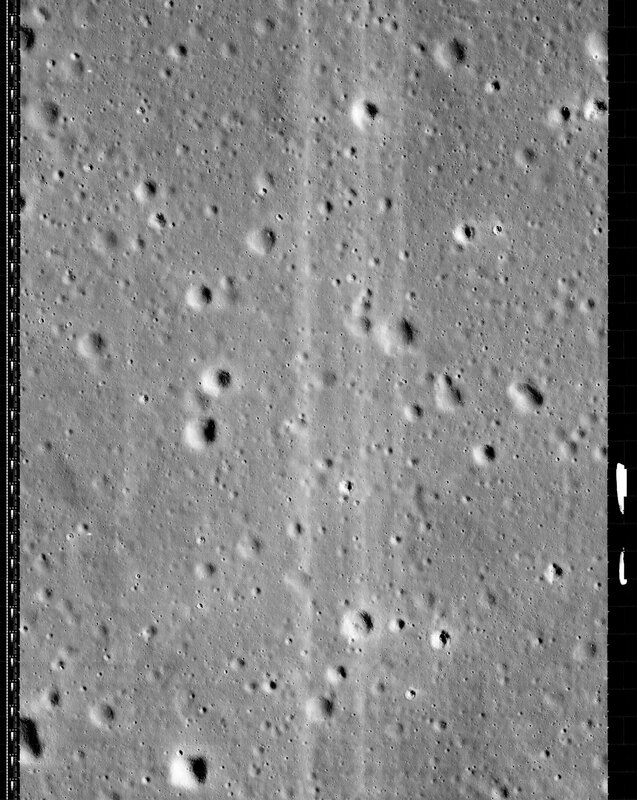 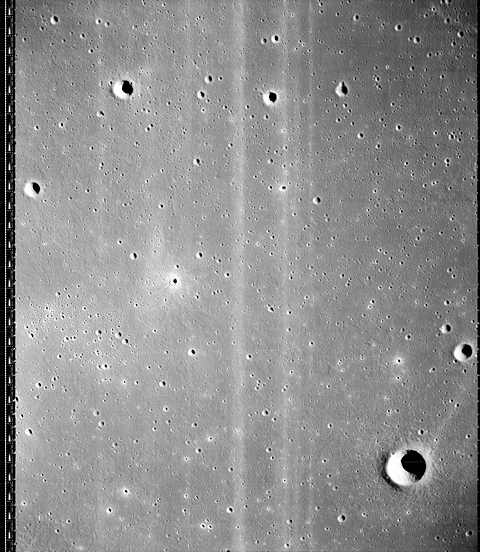 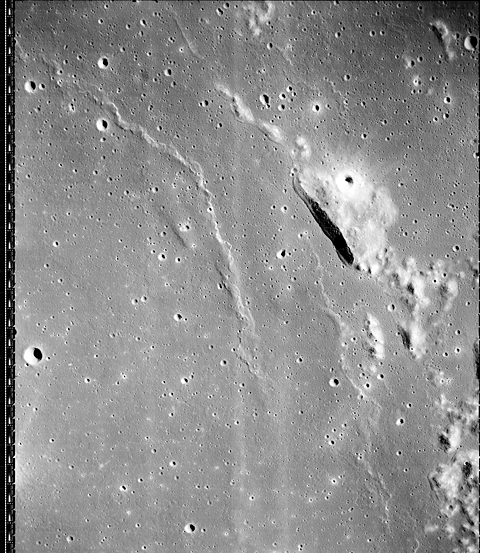 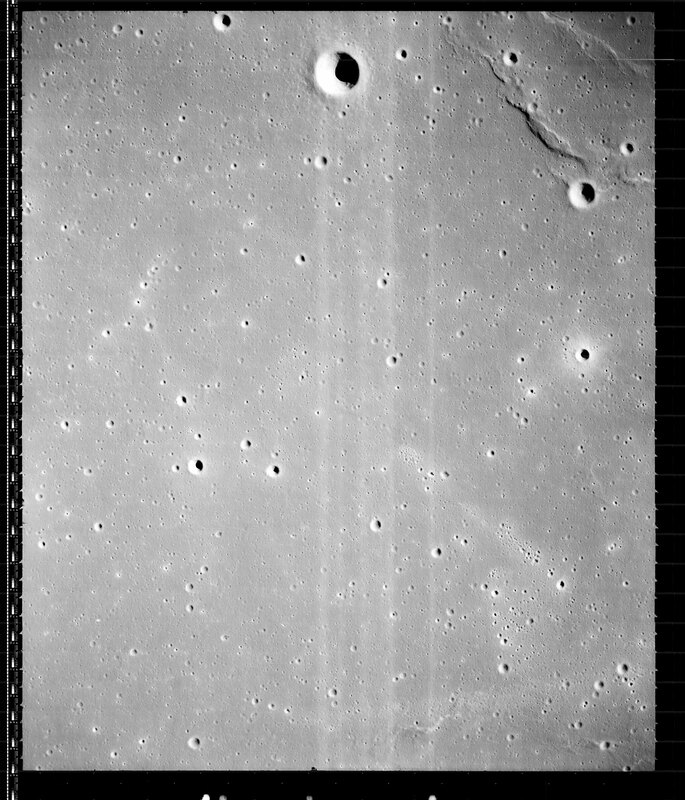 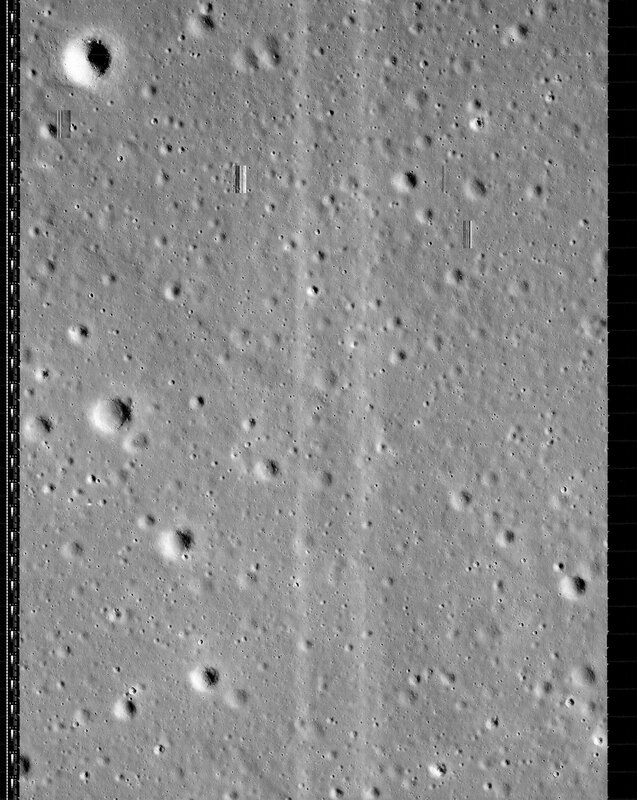 Images: [large at LOIRP] [Very Large at NASA NLSI] Note: the large line arcing across this image is a photographic processing artifact that occurred during automated film processing in lunar orbit.